On 1st Oct’ 2012 I had gone to Shimla for a personal trip. 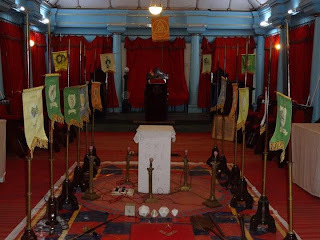 There I got the opportunity to visit the Lodge Temple also. 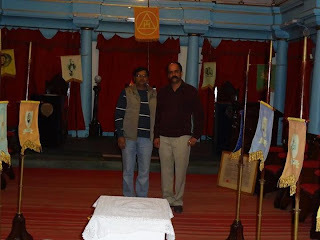 I am grateful to WBro Vinay Chandla who showed me the Lodge premises and the Lodge Temple. It is really commendable to see that this rich heritage has been so well maintained. It was really a great experience to see the temple. I got the feeling as if I was in that old era more than 100 years back. The originality has been maintained till today. I am attaching some photographs which I took inside the temple. 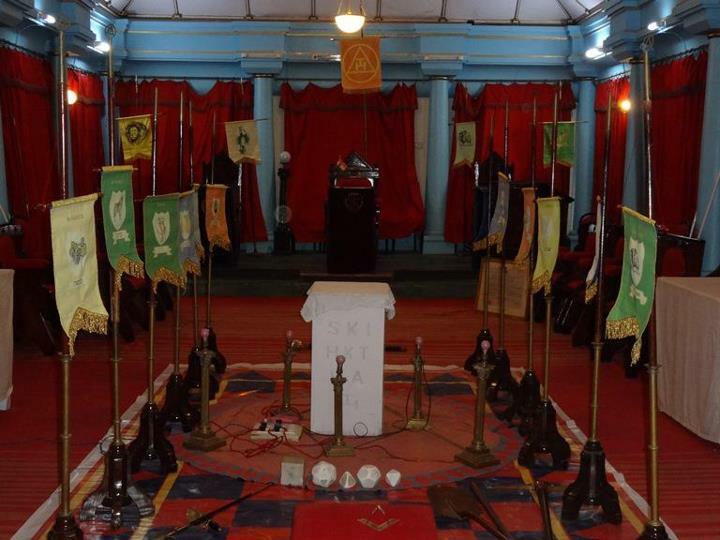 The temple had been prepared for the Chapter Meeting for that evening. 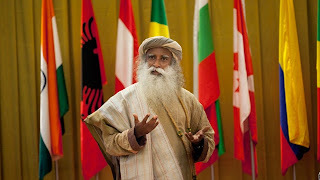 I couldn’t believe that in a place like Shimla they are having all the Lodges like Craft, Mark, Chapter, RAM and even the other higher degrees which we have started in Delhi now. Hats off to WBro JN Chandla(Jogy)-the 3rd generation in Freemasonry for their dedication.